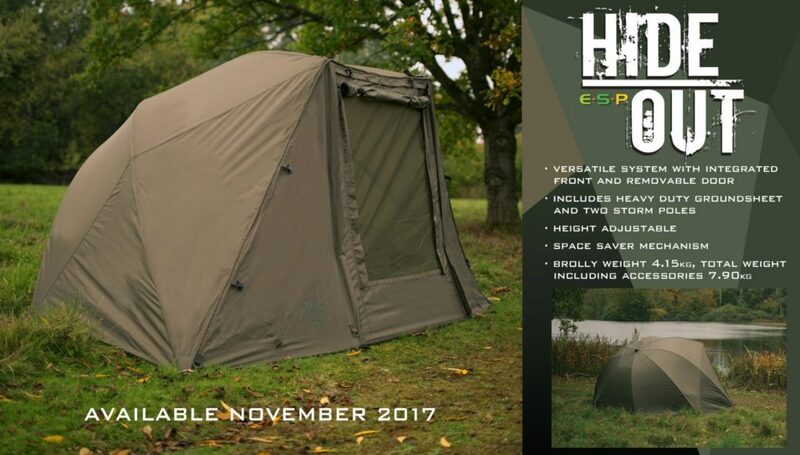 The introduction of the ESP Lo Pro umbrella with its unique free standing design caused quite a stir and it wasn’t long before we started getting asked for a full system incorporating a front panel and door. Various samples were tested this year, culminating in the Hideout. 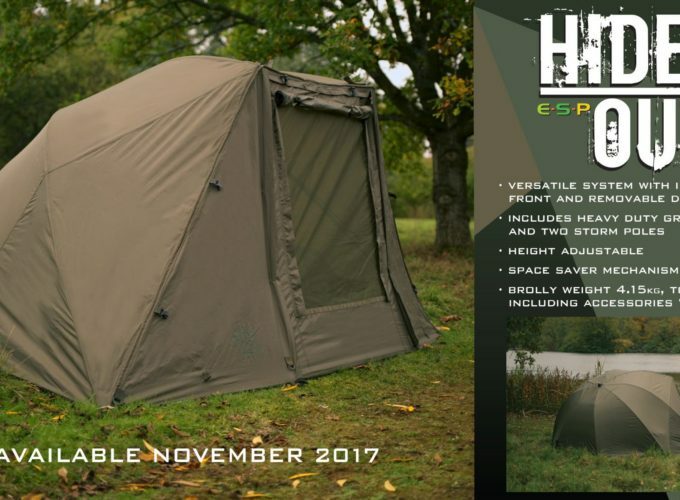 Having the front panels integrated rather than attached with a zip, greatly reduced weight and bulk and allows them to be simply rolled back while not in use. 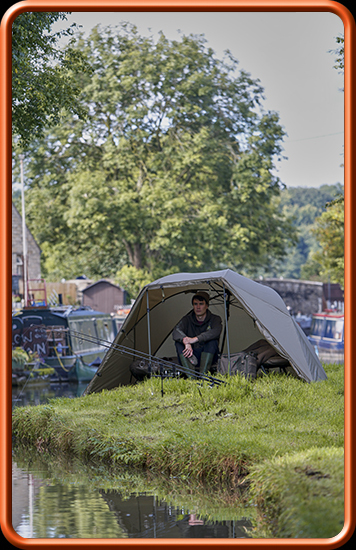 The frame incorporates a combination of 8mm & 10mm fibreglass ribs ? 8mm on the 6 ribs that make up the rear and sides and 10mm on the two top front ribs. The removable door can be rolled up from the base or rolled down from the top letterbox style so it is still easy to see out in bad weather while optimising coverage.